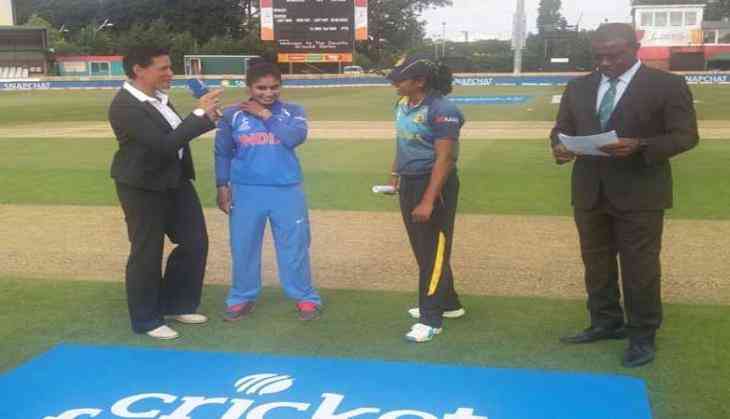 India won the toss and elected to bat against Sri Lanka in their group stage match of the ongoing ICC Women's World Cup at the Country Ground here on Wednesday. The Indian eves would be brimming with confidence after registering a hat trick win over England, West Indies and Pakistan. Sri Lanka, on the other hand, have looked below-par in the tournament so far with three defeats from as many matches. India and Australia both have six points but having better run rate from three games, the Indian women are at the top of the table. India Women (Playing XI): Punam Raut, Smriti Mandhana, Deepti Sharma, Mithali Raj(c), Harmanpreet Kaur, Veda Krishnamurthy, Sushma Verma(w), Jhulan Goswami, Mansi Joshi, Ekta Bisht, Poonam Yadav. Mouni Roy to be paired with Ayush Sharma? READ NEXT >> Mouni Roy to be paired with Ayush Sharma?